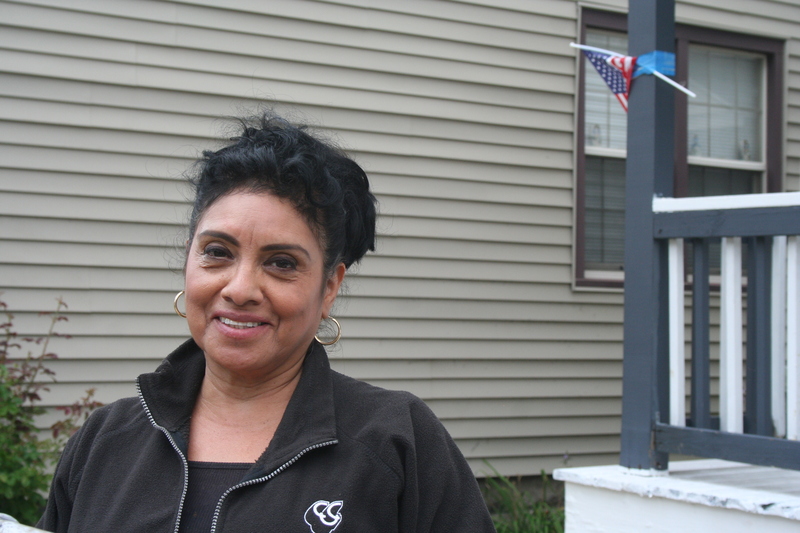 Lydia Centeno stands in the front yard of her childhood home on the 400 block of West Mineral Street in Walker’s Point. Centeno has lived and worked in the neighborhood, which she describes as “family,” for most of her life. At 20, she married and was with her husband for 10 or 15 years. They’re separated now but she doesn’t deny that it was love. “Maybe we got married too young, you know; we got together too young,” says Centeno, who has two children in their 40s. Lydia, who is the youngest of four, says she “learned a lot from” her three older sisters; she’d moved away, herself, but ended up coming back when her sister, who was three years older, was diagnosed with Multiple Sclerosis. Did you find value in Lydia’s story? If so, please subscribe to our newsletter; we publish the story of a different Milwaukeean every week.